Get inspired to hit the mountains! 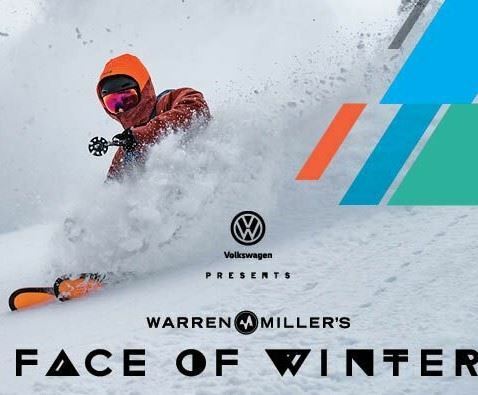 Join the Swiss Ski Club to watch Warren Miller's newest film, Face of Winter at Symphony Space, 95th and Broadway, on Saturday, November 10th, 2018 for the 9:00 pm show. All attendees will receive free lift ticket vouchers to Sugarbush, Belleayre and Gore Mountain (some restrictions apply). Attendees also receive Warren Miller’s Snow World Magazine and a year’s free subscription to Ski Magazine. There will also be a raffle give away for some great prizes. Tickets can be purchased here, click the "REGISTER" button (see payment options upon registration) at the Group Discount rate of $18 (plus $1 processing fee, charged by the theater). We will give you your ticket(s) on the evening of the show at Symphony Space. We only have a limited number of tickets so maximum 2 tickets per person please, until supplies run out. Adults - $23 in advance; $26 day of the show. Children under 17 - $18 in advance; $21 day of the show. 6:30 pm - Kouzan Japanese restaurant on 685 Amsterdam Ave between 93rd and 94th street. You can also join us for dinner only, let us know, for the headcount and table reservation.